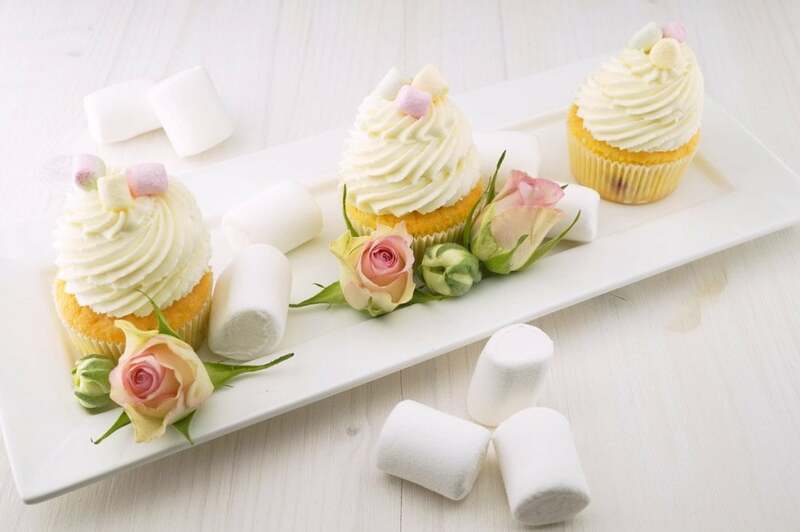 Wedding Cakes, Cupcakes and Cookies, that is all what you need for your wedding reception. 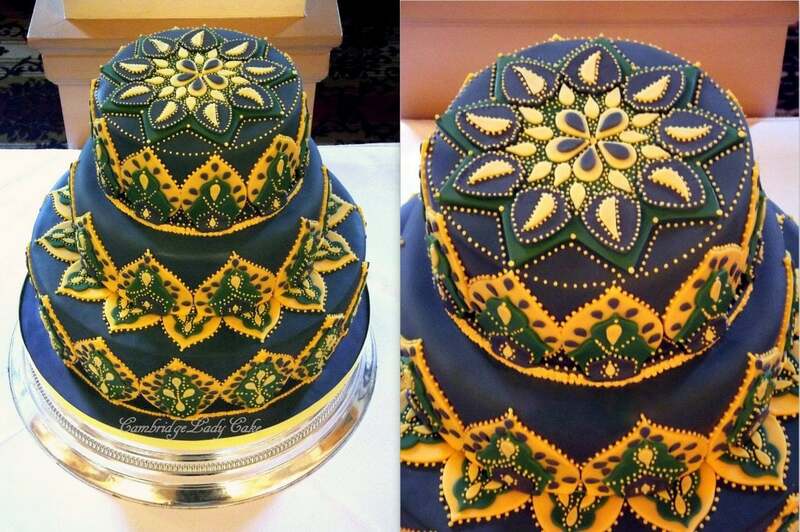 3-tiered wedding cake.The height of luxury Indian style. 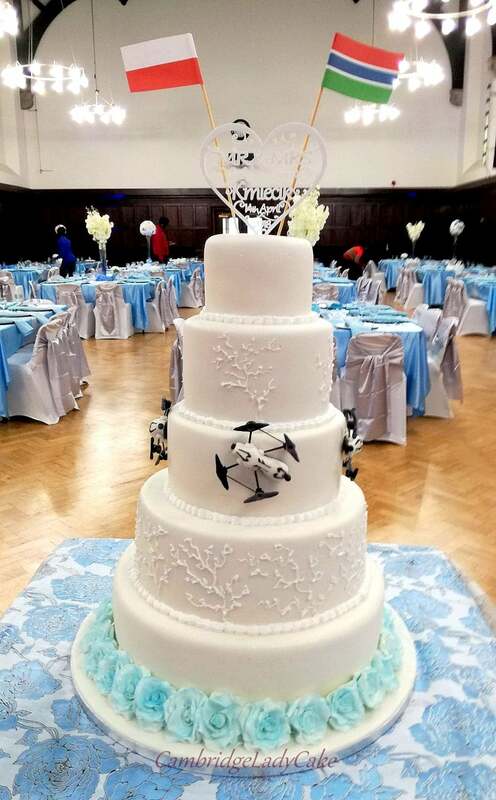 This cake feature exquisitely detailed hand-crafted mosaic decoration made with sugar paste and royal icing. 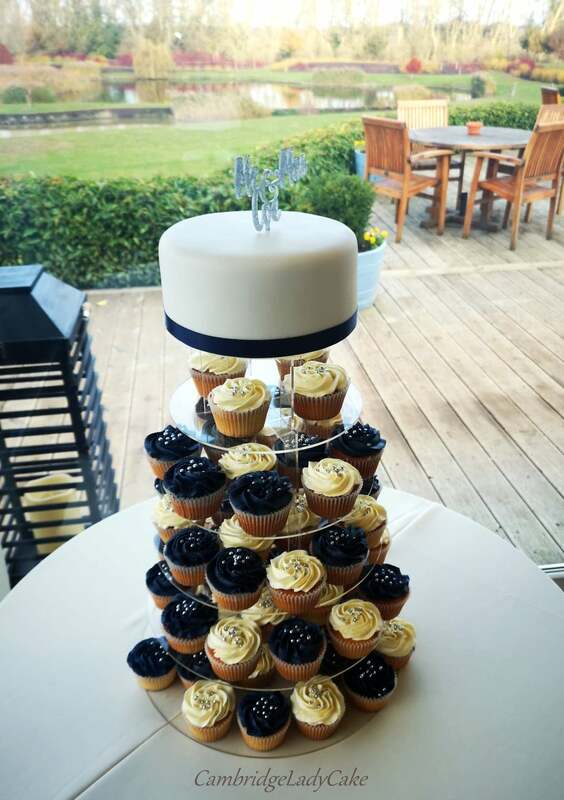 Romantic 4-tiered wedding cake. Fantasy sugar flowers cascade down the front. 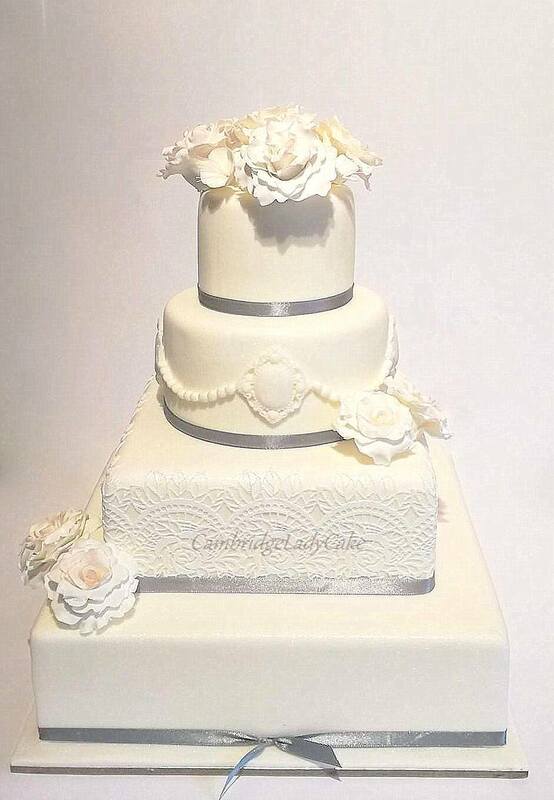 Beautiful fondant ruffled rosettes at the bottom of the cake, a popular design among brides. 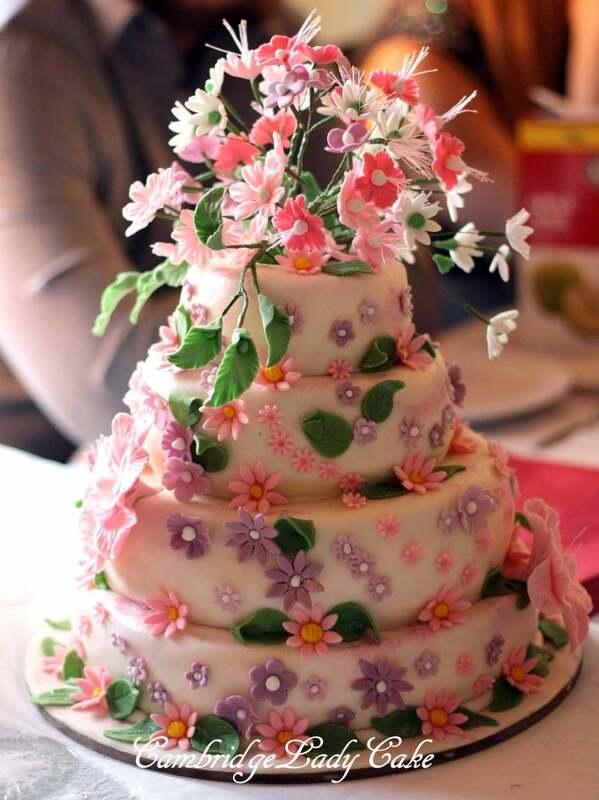 This colourful 4-tiered wedding cake is most popular designs – Blossoms cake with colourful sugar blossoms flowers and a flower bouquet on top. Perfect for spring and summer weddings. 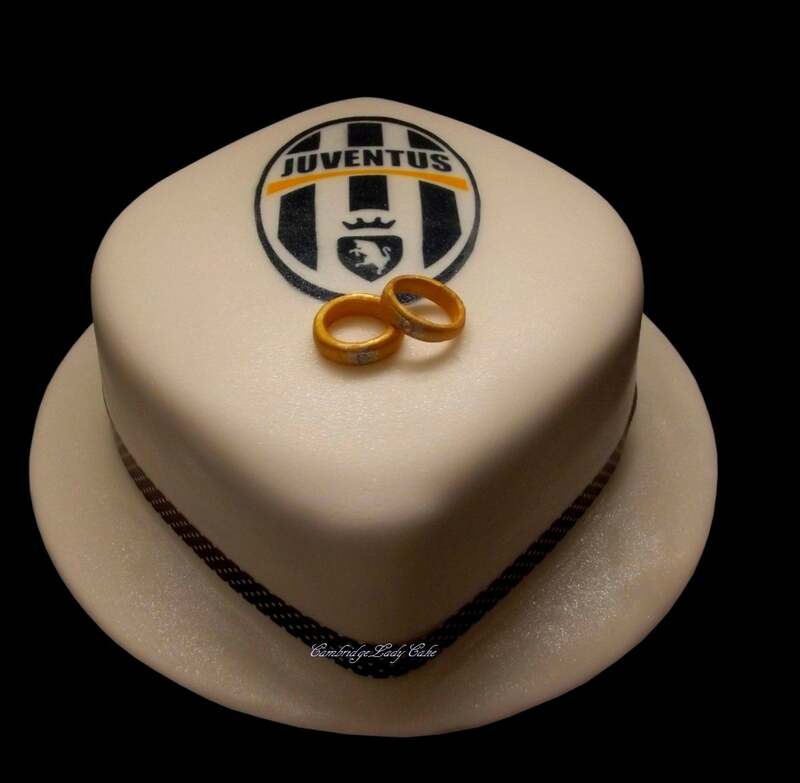 Winner of Best Wedding Cake Competition 2015. 2-tiered ivory wedding cake. A contemporary classic with gorgeous white leaves embroidery. On side colorful bouquet of sugar flowers with gerbera in the main role. 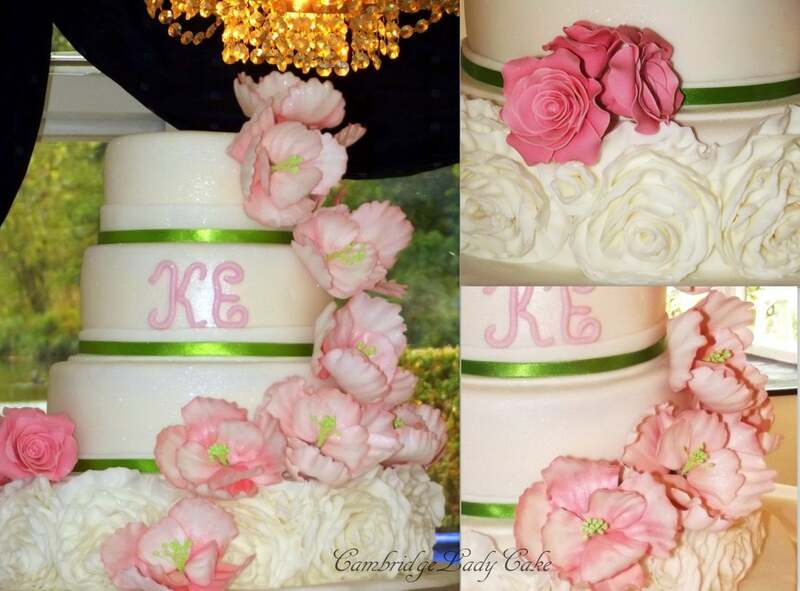 Initials cake topper personalized this pretty wedding cake. 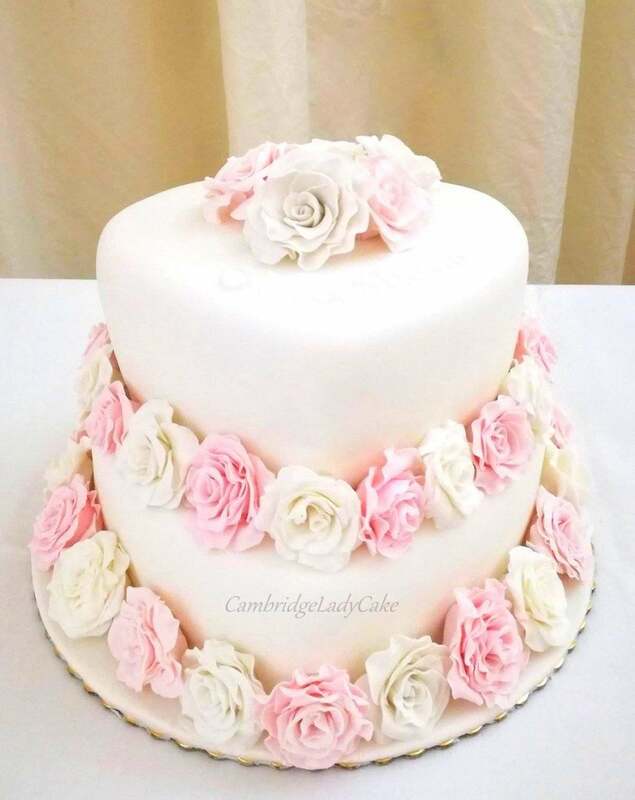 A beautiful simple 2-tiered wedding cake heart-shaped with perfectly hand crafted sugar roses. 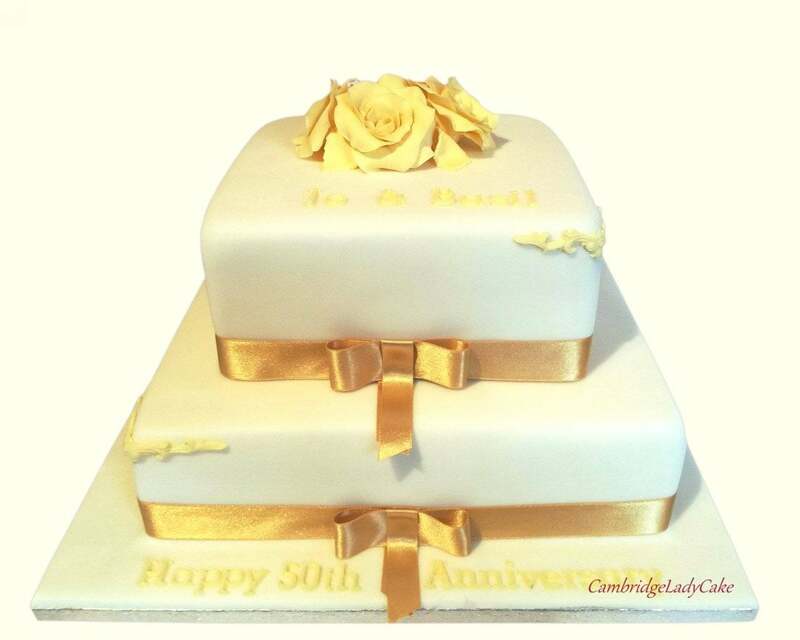 The roses are arranged alternately in two colours and makes this cake in a romantic style. This elegant slightly shiny 4-tiered cake is vintage perfection. 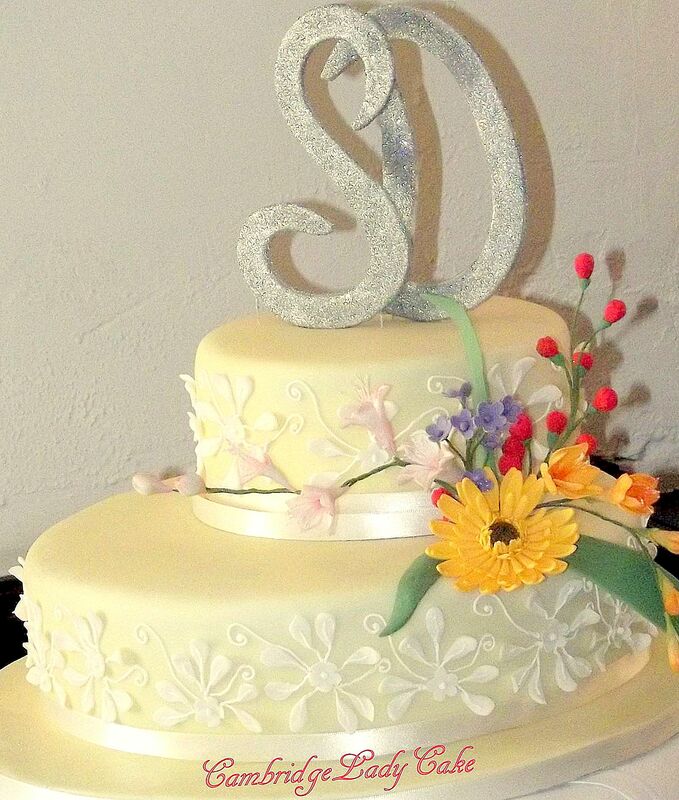 The mixed shape and satin silver ribbon created an interesting contrast for this white cake. 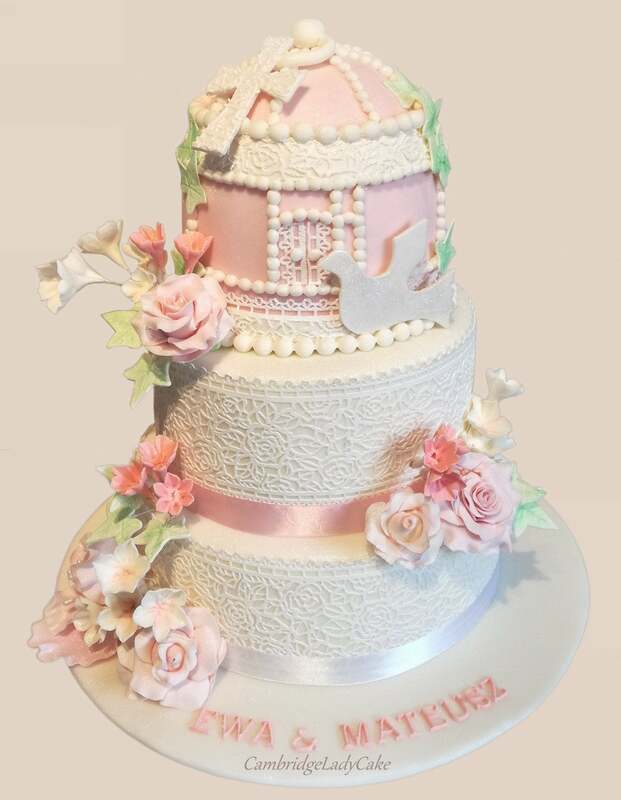 A wonderful edible lace between tiers and romantic sugar roses with light pink dust in the center, are important details that this cake needs. 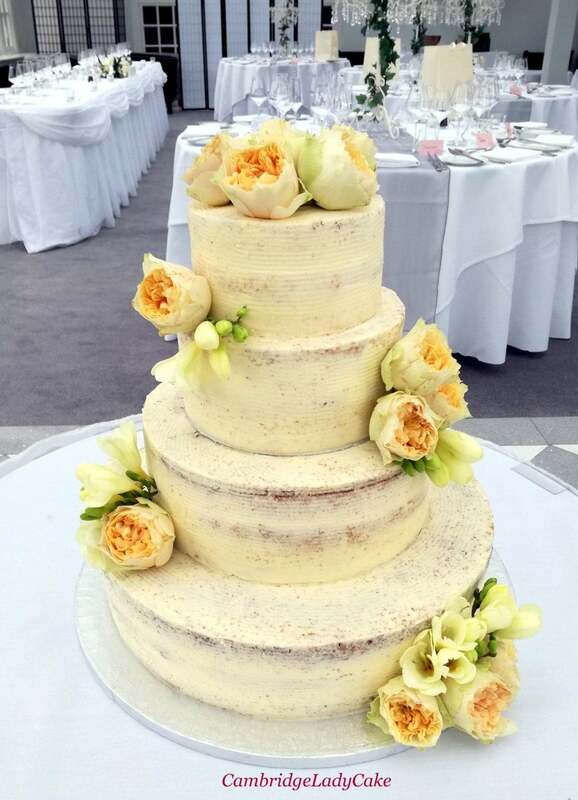 Perfectly smooth very fashionable 4-tiered semi-naked cake decorated with fresh roses and freesia flowers. 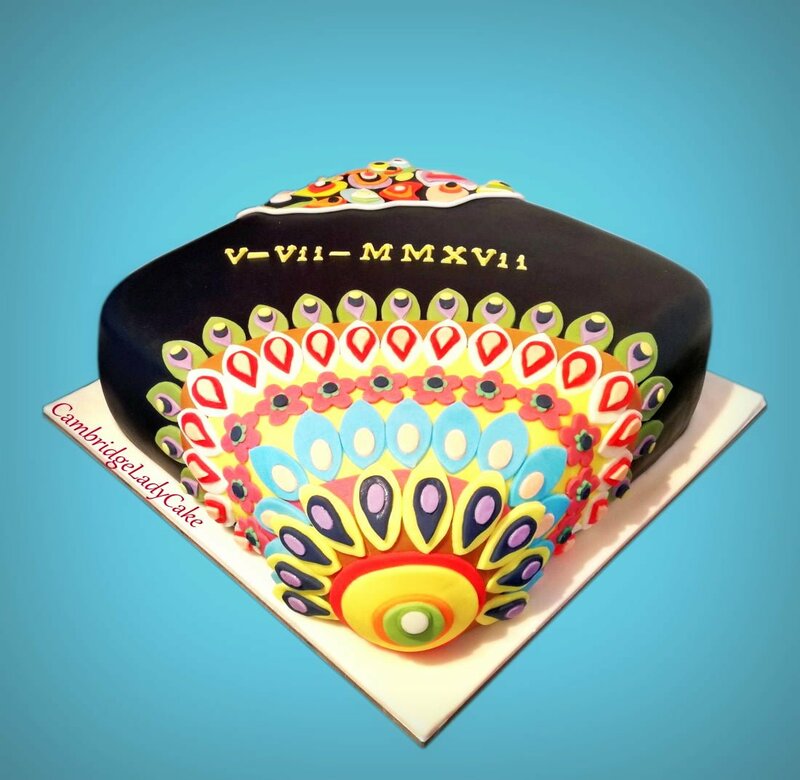 This cake can also be decorated with fresh fruit or combination of both. 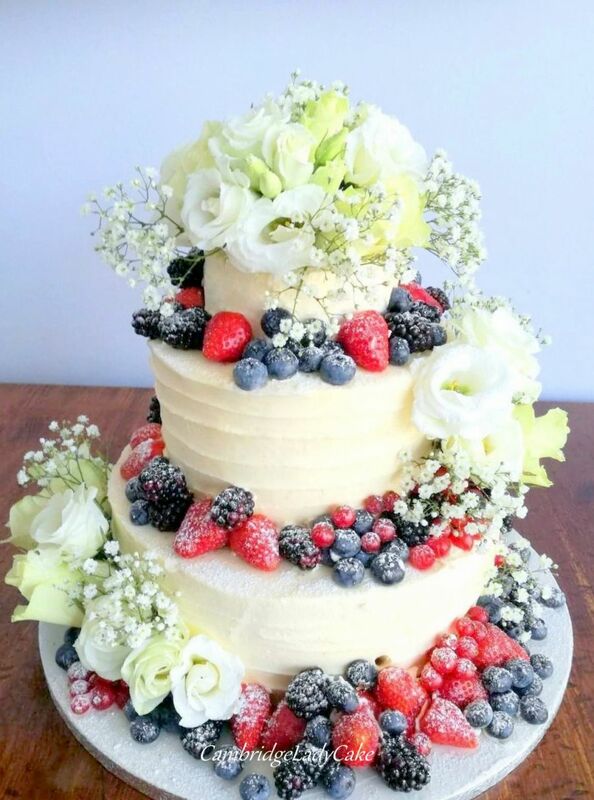 Wedding Cake with fresh flowers and berries.